World’s biggest diamond producer Alrosa is anticipating a big jump in prices for these gems due to both reduced production in the medium term and increasing demand. In a meeting in Belgium between the company’s executives and its long-term clients, Alrosas’s head Fedor Andreyev, said rough diamond prices have been on the rise in the last few months and that the trend is likely to continue. The company’s predictions are in line with a few recently published reports pointing to a steady demand from the US, paired with an ever growing appetite for these precious stones in China and India, as the main factors to affect diamond prices next year. Alrosa also announced it has signed a cooperation agreement with the Antwerp World Diamond Centre (AWDC) aimed at improving the efficiency of cooperation between them over the next three years. 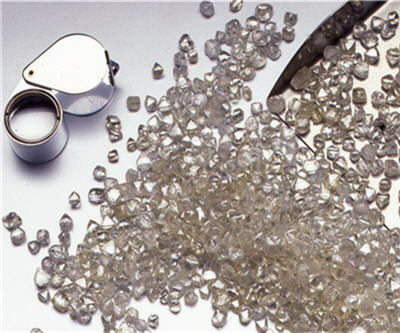 The deal also sets forth the intention for both parties to contribute to the development of a competitive rough and polished diamond market in Russia and the promotion its diamonds in the Belgian market. Alrosa and the Antwerp diamond sector will now work more closely, exchanging expertise and information regarding the implementation of the Kimberley Process Certification Scheme. In addition, both parties have committed to exchanging information, such as market intelligence, and inform each other on industry events, such as seminars and conferences, the development of new technologies or market opportunities. The cooperation also provides an opportunity to set up diamond grading and sorting courses for Russian students at HRD Antwerp.